Two weeks ago, I wrote that I wanted to resurrect this blog and start writing again. Two…weeks. Oops. With that acknowledged, I wanted to spend today reminiscing some of my favorite films. Any time you are disappointed with the current state of film or feel that there’s nothing of value playing in your local theater, recounting the movies that made you fall in love with the medium can be a breath of fresh air. And since you don’t need yet another negative review of “Paul Blart: Mall Cop 2,” let me share with you a few of my favorites. Though Marlon Brando’s “I coulda been a contender” scene is often the one remembered from this 1954 film, there are a multitude of strong performances. Karl Malden as Father Barry and Lee J. Cobb’s Johnny Friendly are two of the best characters from classic Hollywood. Though awards aren’t everything, the film basically took home all of the Oscars with achievements in writing, directing, cinematography, and five(!) acting nominations on top of a Best Picture win. A completely different kind of film, Steven Spielberg’s WWII tale is one of the best war films ever shone on the silver screen. Like most films of its kind, there are a slew of top-notch actors peppered throughout the film (Paul Giamatti, Ted Danson, Nathan Fillion, Bryan Cranston, to name a few) in addition to the main cast. The opening scene on Omaha Beach is considered by many to be the most accurate portrayal of war in film and the filming techniques that Spielberg uses are perfect. The whole film is shot beautifully and it succeeds by being both entertaining and hauntingly real. A year before “Saving Private Ryan” was robbed of Best Picture by “Shakespeare in Love”, another great film was ignored in favor of a romantic tale (“Titanic”). “L.A. Confidential” is the story of 3 very different 1950’s detectives who are all caught up in the same case from different angles. The movie may sound pretty standard at first, but throw in Russell Crowe, Guy Pearce, Kevin Spacey, and the setting of Los Angeles and you’ve got cinematic magic. 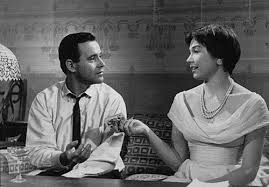 Taking it back to 1960 for what I often refer to as my favorite movie, “The Apartment” is a Billy Wilder film starring Jack Lemmon and Shirley MacLaine. Lemmon plays a young employee at an insurance company who tries to climb the corporate ladder by allowing his superiors to use his conveniently located apartment for their extramarital affairs. Things turn for the worse, however, when he discovers that the elevator girl he’s in love with is one of his bosses’ mistresses. The chemistry between Lemmon and MacLaine is fantastic, the characters moving, and the film is wonderfully shot in black and white. The Apartment is one of the best comedies ever written and was an instant favorite the minute I watched it. Though this isn’t an exhaustive list of my favorite films, they are a few that have been imprinted on my mind in recent years. Film is something that is immeasurably personal and everyone has their own tastes and preferences. Soon I will be getting back to reviews, but today I just want to enjoy some personal favorites. I would also be interested in hearing about your own favorite films in the comments below. Inspiration can be a hard thing to find. Sometimes the monotony of life can pull us away from the passions that we would normally pursue and in their place we devote all of our attention to simply waking up and checking off our daily list of tasks. For the last 3 months I’ve neglected this blog because I had lost that inspiration. January-March is often considered the time of year for films that the studios have no faith in. Perhaps the mediocrity of films such as “The Wedding Ringer”, “Fifty Shades of Grey” and “Jupiter Ascending” played a part in my new-found apathy. Whatever the reason, it’s time for a comeback. From my perspective, the movies could also use a comeback. Aside from a few successes here and there (“Guardians of the Galaxy”, “Interstellar”), 2014 was a rather disappointing year at the theater. Oscar bait like “The Imitation Game” and “Foxcatcher” left something to be desired, whereas many of the anticipated summer blockbusters fell flat. But that’s the past. Let’s talk about the future. Though the first few months of 2015 were a little bumpy, this year has the opportunity to be one of the biggest the industry has ever seen. 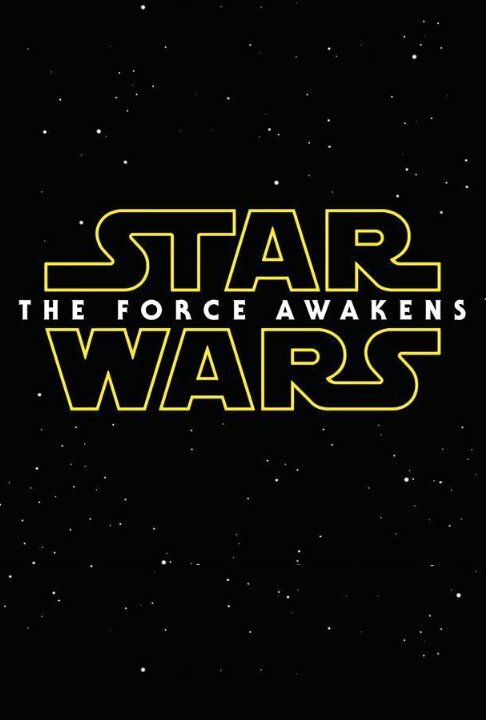 If not in quality, then certainly in box office dollars and anticipation. There is something to be said, of course, for originality and fresh storytelling. Is it a little hypocritical to anxiously look forward to these properties while also at times complaining about the lack of new ideas in Hollywood? Probably. But the sheer magnitude of franchises being revisited is incredible. If there were new Indiana Jones and Batman movies coming out this year, basically everything I have ever loved would be present. Obviously this could all end very poorly for me and any others waiting for these films. I can already tell you that “Furious 7” is an absurd letdown. That being said, 2015 is poised to be a juggernaut of a year and could be a much-needed return to quality entertainment. So on this Easter Sunday, I’m bringing back the reviews and looking forward to what might be a great year at the movies.